DO I QUALIFY TO ATTEND? 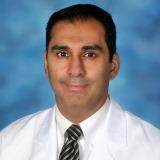 Dr. Sunil Budhrani is a Board Certified Emergency Medicine Physician who graduated from the University of Pennsylvania with a degree in Neuroscience and English. He went on to complete his Medical Degree at the George Washington University, where he then pursued his Masters in Public Health due to an interest in Population Health Dynamics. Subsequently, he completed his Residency training in Emergency Medicine at the Tufts University School of Medicine in Massachusetts, and went on to chair and direct Emergency Departments and Urgent Care Centers throughout the East Coast. Dr. Budhrani then served as the Chief Medical Officer of the Evergreen Health Cooperative Insurance for the State of Maryland and led the clinical course for medical technology, network development, member engagement and Population Health for the Plan. He co-founded CareClix Telemedicine, a leading pioneer in Telemedicine and Remote Patient Monitoring technologies with users throughout the United States and abroad. He as well served as the Chair of the American Telemedicine Association's Guidelines Committee for Practice of Primary Care and Urgent Care Telemedicine, has authored many papers on the subject of Telemedicine and is a national speaker on Virtual Medical Care on such topics as Reducing Hospital Readmissions and Employing Telemedicine in Medical Practices. He currently serves as the Chief Medical Officer of Innovation Health, a uniquely successful partnership between Aetna and one of the largest health systems in the Washington, DC Metropolitan Area, Inova Health System. He currently resides in Northern Virginia with his wife and two daughters. Check out the incredible speaker line-up to see who will be joining Sunil.